Collaborative law is a voluntary process that has grown out of the desire to find an alternative form of resolution to the courts when separating or divorcing. In Collaborative law cases, the parties attempt to reach a mutually acceptable settlement through a series of meetings or joint sessions, between the parties, their lawyers, and in many cases other neutral experts (e.g. mediators, financial advisors, specialist child psychologists, etc). Recent studies suggest a success or agreement rate of over 85%. The parties participating in this process agree to voluntarily disclose information to each other and cooperate in finding mutually acceptable solutions to the problems they are confronting. If an agreement is not possible and the parties decide to proceed to court, the original lawyers must withdraw from the case. Collaborative law has spread from family law to other areas and practitioners are now applying this process to other matters such as business, employment and personal injury cases. Dial M for Mediation offer the services of a mediator who can act as the “neutral third party” in these cases. Alternative Dispute Resolution Services (ADR) encompasses a range of activities including negotiation, mediation, collaborative law and conciliation. Alternative Dispute Resolution, is a way of resolving disputes without going to court. Most types of ADR use a neutral third person to help the parties arrive at an agreement or settlement. Alternative dispute resolution is a less formal process than the courts and is less costly and the participants have a far greater influence on the outcome. Dial M for Mediation offer the services of a mediator and negotiator. Deirdre O’Donnell is also a skilled conciliator. Organisations that are open to feedback from clients and customers, especially when the customer has a complaint, can benefit from having simple and effective complaint management systems. Dial M for Mediation can help your organisation by designing and implementing a tailored complaint handling system that is easy to use and responsive to your business needs. This will allow you to resolve the problem and improve your own organizations processes by analysing the cause of the complaint. We can also assist you in evaluating your current systems and ensure that they reflect good practice and meet your business objectives. Carolyn has a success rate of 100% when conducting joint mediations (i.e. all of these mediations concluded in agreements). 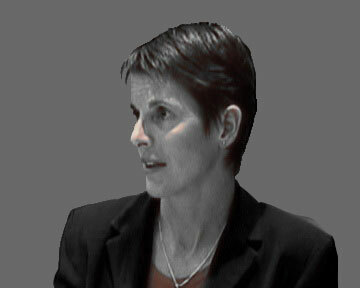 Carolyn Manning is a leading provider of mediation and negotiation services. She is the Principal Consultant of Dial M for Mediation. She has over 20 years experience as a psychologist and over 10 years experience as a mediator and negotiator who understands people and organisations. She brings this wealth of experience to her mediation and negotiation work. We work with leading organisations across a range of industries, including the health sector, private schools, financial services, state government, industry ombudsman schemes, industry representative bodies, indigenous organisations, local councils, retail services, IT companies, police and leading family law firms. Carolyn's work in the corporate sector also includes risk management services, Employee Assistance Programme counselling, harassment and bullying investigations, workplace change/climate surveys and training on topics such as dealing with difficult customers, stress management and managing trauma. Please refer to Carolyn Manning Consulting Services website for information about these related services. Our customers have included industry ombudsman schemes across Australia, state government organisations, local councils, indigenous organisations, a "top four" leading Australian bank, hospitals, aged care facilities, a multi-national car company, multi-national mining company, private individuals, small businesses, leading private schools, industry representative bodies CEO's, senior managers, etc. We are able to provide mediation, negotiation, risk management, auditing and complaint handling systems, implement good governance practices in both large and small organisations, at a national level and in the Asia/Pacific region.